It is no more in doubt that the Nigeria Military who claimed that they were on routine military exercise in Isiama Afaraukwu Ibeku, Mazi Nnamdi Kanu's home town were actually there to kidnap and eventually kill the IPOB leader. IPOB leader was in his house when the Nigerian military forced their way into his compound kill over 20 people and since then the whereabouts of the IPOB is unknown. The events of 14th September, 2017 has proven beyond all reasonable doubt that the military was ordered to kill Mazi Nnamdi Kanu. 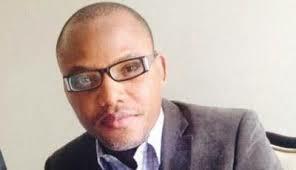 Today, the question on every lips is, where is Mazi Nnamdi Kanu? America is asking, Britain is asking, and likewise the entire world. As far as am concerned, the whereabouts of the leader of the Indigenous People Of Biafra, Mazi Nnamdi kanu is known to the Nigerian military who invaded his home in Isiama Afaraukwu Ibeku in Umuahia, Abia state. We should not forget that before this military invasion of his home, Kanu was always at his house attending to his visitors who always come from far and near to show solidarity with him. His sudden disappearance and those of his family is a question that Nigerian military should answer. During this strategic attack, nothing was left unharmed there, not even a "PET" dog that the continuous shooting from the soldiers killed. We all saw the live video of the attack. The shooting lasted for close to an hour. How can you tell me that Nnamdi kanu whom the Nigerian military are fighting tooth and nail to kill will be left untouched after the tragedy ? He couldn't have escaped the four days siege of Nigerian military of his father's palace. The Nigerian military has been longing to kill Nnamdi Kanu and I believe that day was their best opportunity to assassinate him as scores of unarmed Biafrans were killed in the sporadical shootings and their lifeless bodies catered away with impunity and nobody cares. IPOB is hereby demanding that the Nigerian military should provide Mazi Nnamdi Kanu dead or alive on or before his court appearance on 17th, October, 2017. Unfortunately, the Nigerian government thought that kidnaping or killing Mazi Nnamdi kanu will put an end to Biafra struggle or quench it like fire but little did they know that by so doing, Biafra will be more closer than it is today. Kill Nnamdi kanu and many Nnamdi kanus will emerge. Nnamdi Kanu lives in our hearts. The problem with Nigerian government is that they are not at home with history. Because if they are, they should have known that the assassination of Martin Luther King Junior did not stop the fight for the liberation of blacks in America. No one has ever succeeded in killing ideology. Nelson Mandela was ducked in jail for a whooping 27years in solitary confinement, yet he gloriously walked out of prison to become the first black President of South Africa, ending Aparthied regime in South Africa. So you see, since arresting Nnamdi kanu did not end the demand for referendum for Biafra, killing him will not end it, but will definitely increase it. Biafra struggle gathered more momentum thanks to the unjust arrest of Nnamdi Kanu by the Nigerian government through her illegal DSS. Even those who have not been hearing about Biafra started hearing about it. Infact, through that, the news of Biafra went viral both local and international and became an international phenomenon. Nnamdi kanu keeps setting traps for Nigeria and Nigeria keeps on falling into his traps. Every trap they fell into is a credit and success to Biafra. To all men of good conscience and livers of freedom, it does not matter if you believe in Nnamdi Kanu or Biafra, I urge all and sundry to join our voices to speak against evil and injustice as injustice to one, is injustice to everyone across the globe. Demand that the military that attacked Nnamdi Kanu's house should provide him dead or alive come 17th, October, 2017 to continue his court case with the Nigerian government.